MP3 is the acronym of MPEG-1 Audio Layer 3 and is one of most widespread audio formats at present. The use of this format became popular on the Internet very quickly due to the high compression rate that it offered, becoming the standard used for streaming and after that the general standard for portable players. Therefore, files in MP3 format manage to considerably reduce the size of audio files, at the expense of diminishing the sound quality. Nevertheless, this loss of sound quality is insignificant for the majority of users. 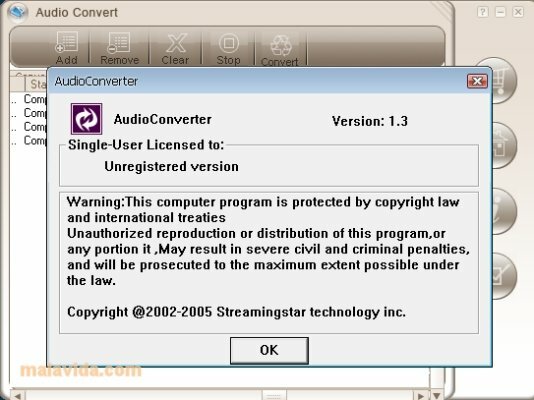 If you want to convert you audio files to this format, you'll need an application like Audio Convert. 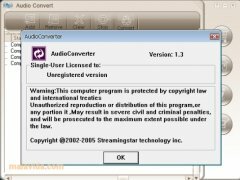 Audio Convert is a simple sound file converter that allows you to transform, among others, Window Media (ASF, WMA, WMV), Real Media (RM, RA, RMVB) and QuickTime files (MOV) to the famous MP3 format. Convert your files to the MP3 format and enjoy your music wherever you are, thanks to Audio Convert.